Spin junkies will love the revolutionary new Gamma Glide 16G Crystal string. This string is specifically designed to be used as a cross string in a hybrid with any poly, synthetic or natural gut main string. It is made from patent pending, proprietary super elastic fluorinated polymer. This material dramatically reduces sliding friction between strings. Lab comparisons showed it created 86% more lateral main string movement and 49% faster snap back, resulting in 300 RPM of additional spin. Players will find access to tremendous spin in any string configuration thanks to Glide’s superior lubricity. The string also has elasticity on par with natural gut, giving it excellent power, feel and comfort. The 16 gauge diameter provides additional durability for use as a cross string in any type of hybrid. 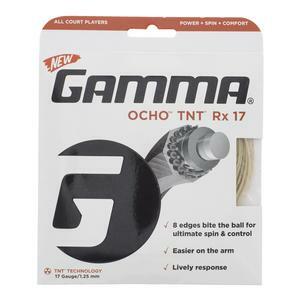 Gamma recommends stringing it at 5-10% higher tension than the main string tension. -polyvinylidene flouride isn't a "coating that can wear off"
Always skeptical, but always looking. Most innovations turn out to be 99 marketing. The glide technology is 99 performance. I restrung the first racket, a 98 inch frame with copolymer string mains at 50 & glide crosses @ 54. First time out I got noticeable improvement in spin. With another 3 hours of play, I got a significant increase in spin and 10 more controllable power. Played like a new and better racquet. I play doubles with a Pro Kennex 105 inch frame. I had it strung with the glide/ copolymer combo at 52/56. Result was nothing short of phenomenal. I averaged two aces every service game due to the increase in controlled power and spin. Most everyone pros too will be using this string or similar technologies just as most switched to poly. Great String For the PERFECT Stroke! To start, this is actually a very cool cross string...The problem is, its only good IF you have an almost perfect and consistent stroke. This string is VERY unforgiving to the off center strokes. If you DO hit out of the sweet spot on your ground strokes, the ball just dies on your racquet! Ugggh! Although, I found that when I did hit clean, the extra spin was AWESOME!!! The same with volleys, theyre crisp, and have loads of bite if you hit center. Serving, this string provided some CRAZY KICK, but I double faulted more than I ever have. it just felt like the trampoline effect was a bit too much. Buy, and try it in your 2 back-up stick...but keep your favorite stick strung with your proven string. My husband and I both tried these new strings, and we both like them very much. My husband has always hit with spin, and says these strings have improved his stroke a lot. I didnt hit with spin before, but decided to try it, and these strings make it so much easier, and Im so glad I tried them. 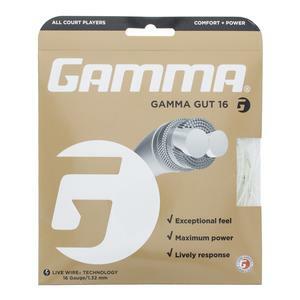 Gamma Glide has a tin feel that negates the little bit of extra spin that it may provide. I tried it in two different flexible rackets and with several different main strings. I wanted it to work. The principle was good but the result was NOT good. Gamma did really well on this string! The point of this string was to create more string movement more string movement more spin. I use Tour Bite as my mains and Glide as my crosses. Im definitely feeling some extra bite on my ground game. I definitely recommend this string. Performs much like its name! 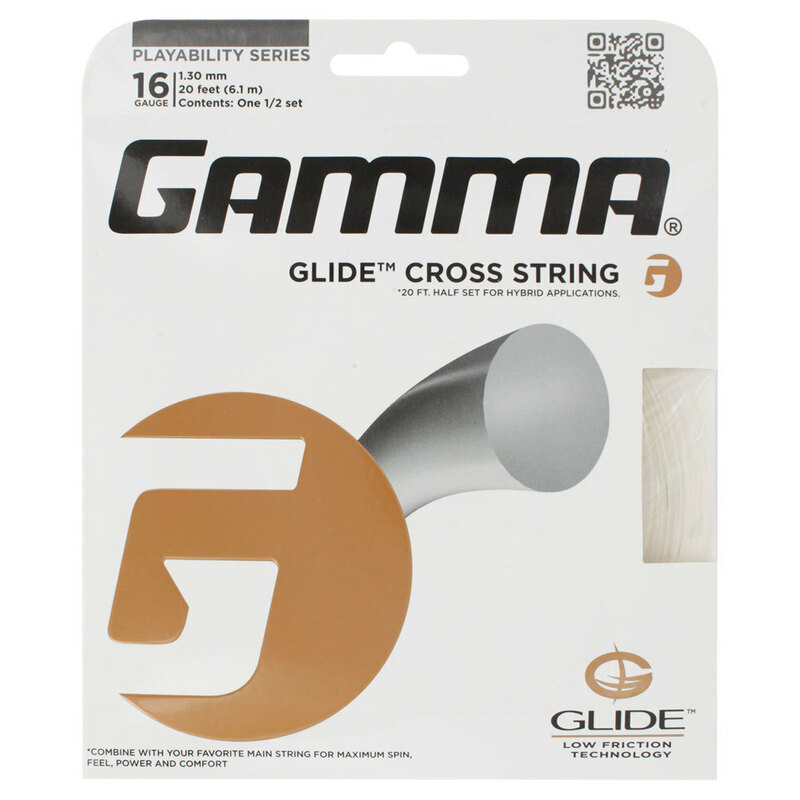 Gamma Glide has been touted as the ultimate cross string. 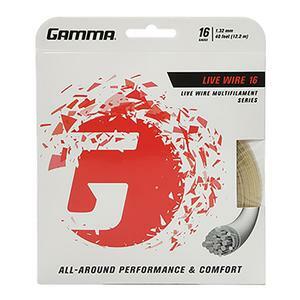 Gamma claims that the high lubricity and it soft feel is the best of both worlds for a hybrid string pattern. I was very curious about this as I hit with lots of spin and end up cutting the main strings quickly from the sawing action of the cross strings on them. Even the strings like RPM Blast, also know for its ability to slide to produce more spin have lost a lot of playability for me with the first 1.5 hours of play. I wanted something that would last at least 15 hours of play time and still be usable. One thing that I noticed about Glide beyond the high price is that you cannot string it like your normal cross strings and get good results if you are a heavy spin player. I noticed that even with it 5 lbs tighter, it still launched the ball with a much higher trajectory than other strings I have used in the past. After bringing the tension up a bit for the entire string bed something amazing happened.